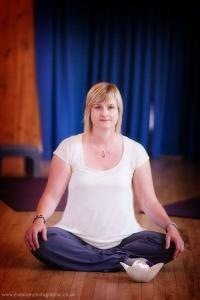 Pippa Moss is a mum of 2 boys and an Active Birth teacher who offers prenatal and postnatal services in Bedfordshire. This includes: Pregnancy and Postnatal Yoga, Active Birth Workshops, Developmental Baby Massage and Movement. Pippa also supplies Kari-Me baby slings direct to customers and is an advocate in natural parenting. I attended antenatal and postnatal classes at the Active Birth Centre in London and felt such a postive impact on my experience of pregnancy, birth and early motherhood that it was life-changing. I was also introduced to a special kind of yoga there and my wonderful teachers inspired me to re-train and learn to pass on what I had learnt to others. Keeping on top of my finances and earning much less than in my “previous life” in television. That I can be assertive and open when needed, and it’s often worth it. Deciding how I work; where, when and what.